« New Product: Mitsubishi Evo 8/9 High Flow Cat! 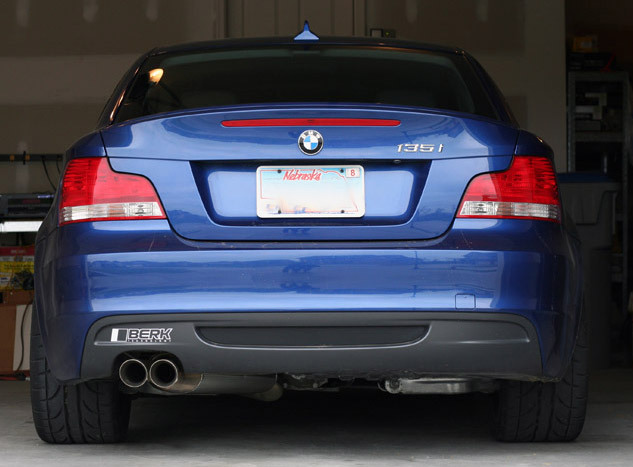 Check out one of our BMW 135i customer’s STU Class BMW 135i using the Berk Technology BMW 135i Street Performance full exhaust system! This entry was posted on May 19, 2010 at 1:43 pm and is filed under Customers' Cars. You can follow any responses to this entry through the RSS 2.0 feed. You can leave a response, or trackback from your own site.